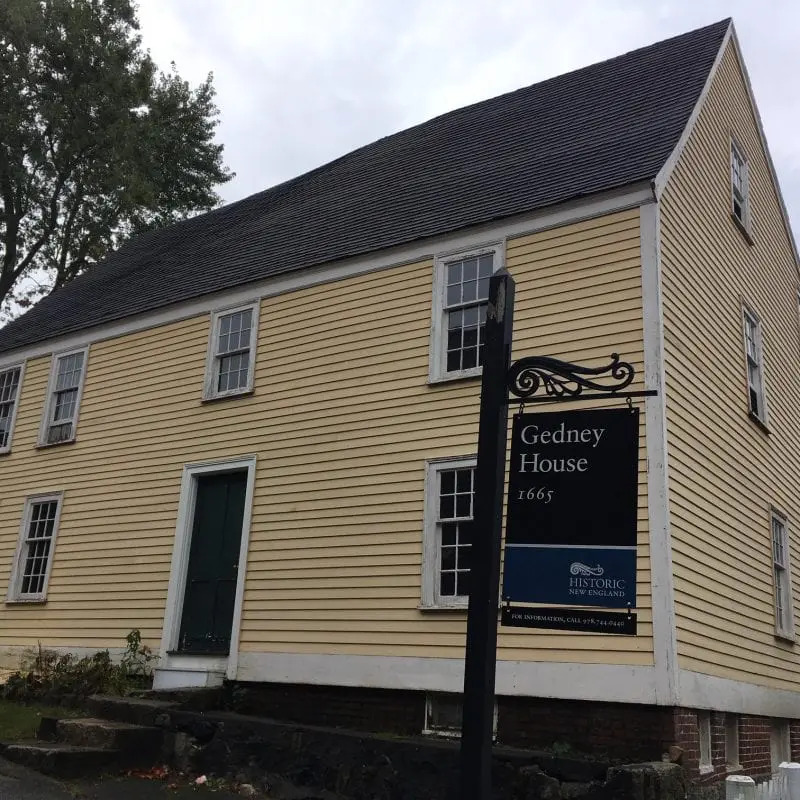 The earliest portion of the Gedney House was built for Eleazer Gedney in 1665. 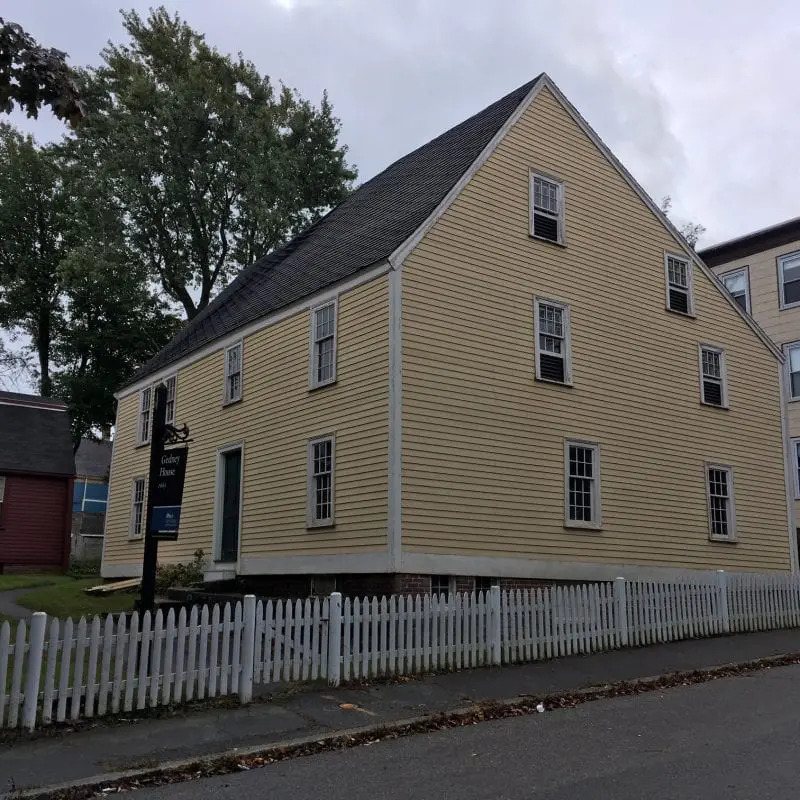 At that time, the Salem waterfront was close by; shipyards were located where the Salem Post Office is today, not very far from the Gedney House. Gedney, a well-to-do shipwright and the brother of witchcraft trial judge Bartholomew Gedney, died in 1683. 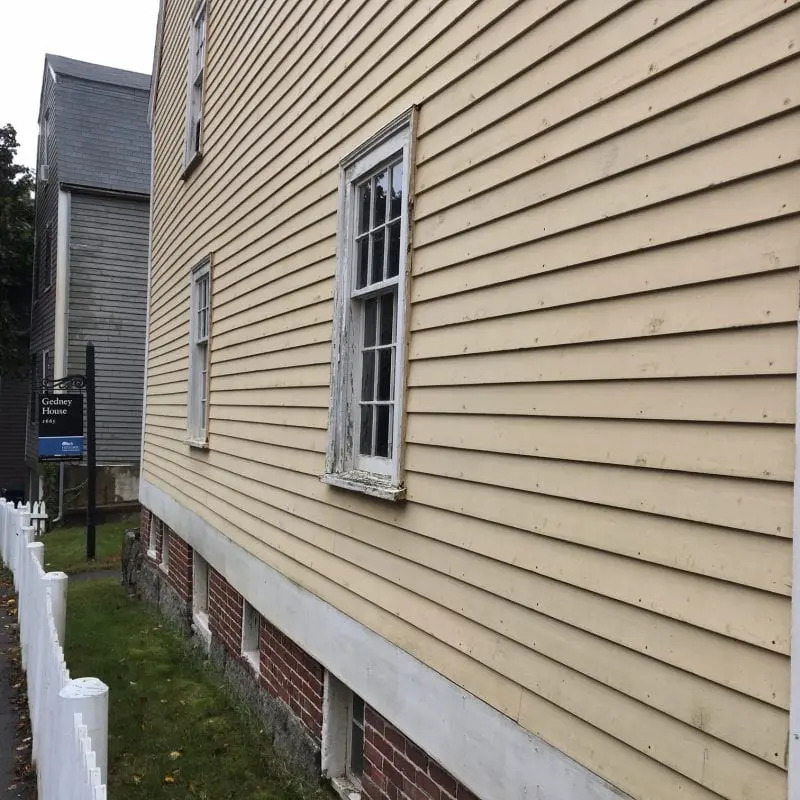 By the time of the witch trials, his widow Mary (his second wife) had been licensed to “sell drink out-of-doors” from this home, earning money that helped support her children. 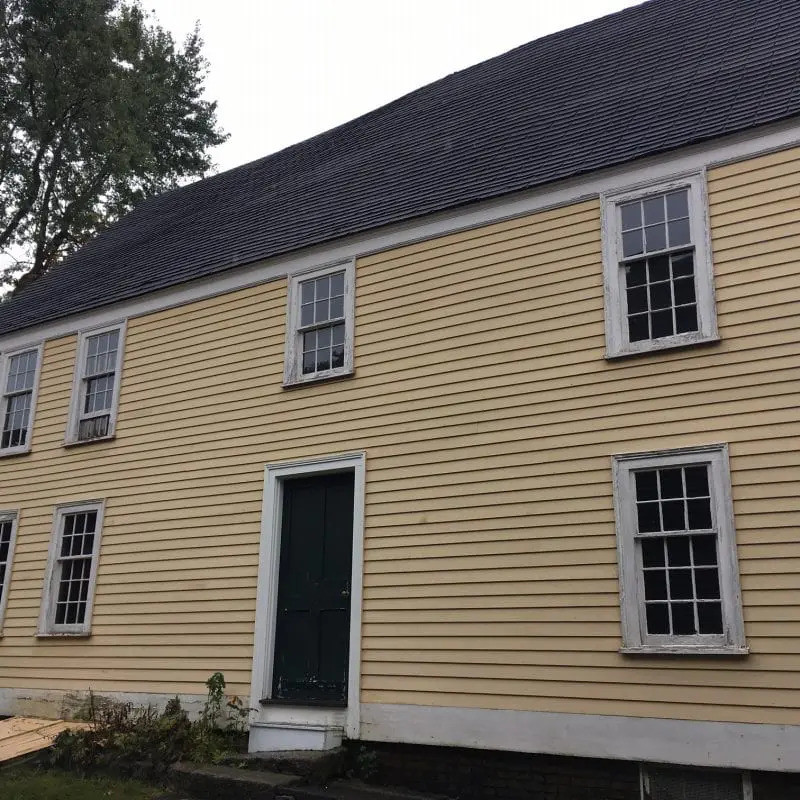 Interestingly, Mary, as well as the other “Widow Gedney” in Salem (who owned the Ship Tavern), billed the Province for “entertainments of jurors and witnesses,” for refreshments provided during the examinations and trials. Records indicate Mary Gedney did not receive reimbursement until February of 1693, when she received £40 as partial payment for what the government felt were “extraordinary charges” left by the Court of Oyer and Terminer. Additional note: Eleazer Gedney’s first wife was Elizabeth Turner, the sister of John Turner who built his own house in 1668, today known as the Turner-Ingersoll Mansion a.k.a. The House of the Seven Gables. 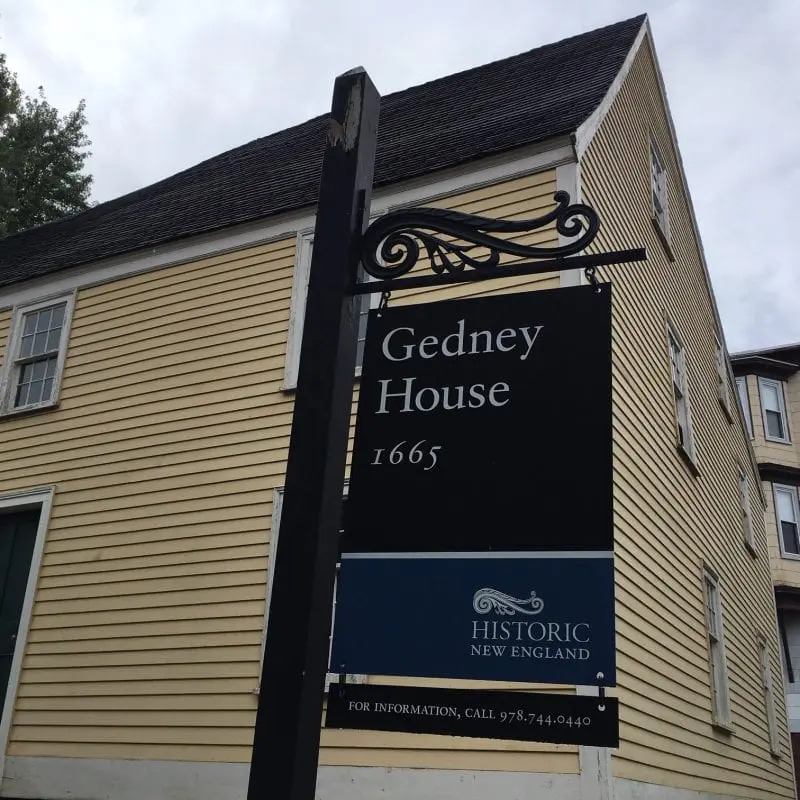 The Gedney House is owned by Historic New England, and has been on the National Register of Historic Places since 1974.